On the 9th Day of Christmas Hertoolbelt sent to you, a chunky Candy Cane, 3D Snowflake, Rudolph the White Stag Reindeer, People nativity scene, st-a-ck-ed snowman, peppermint candy, 3-tier felt tree, sweater owl, and mini-mittens on a little wooden tree. 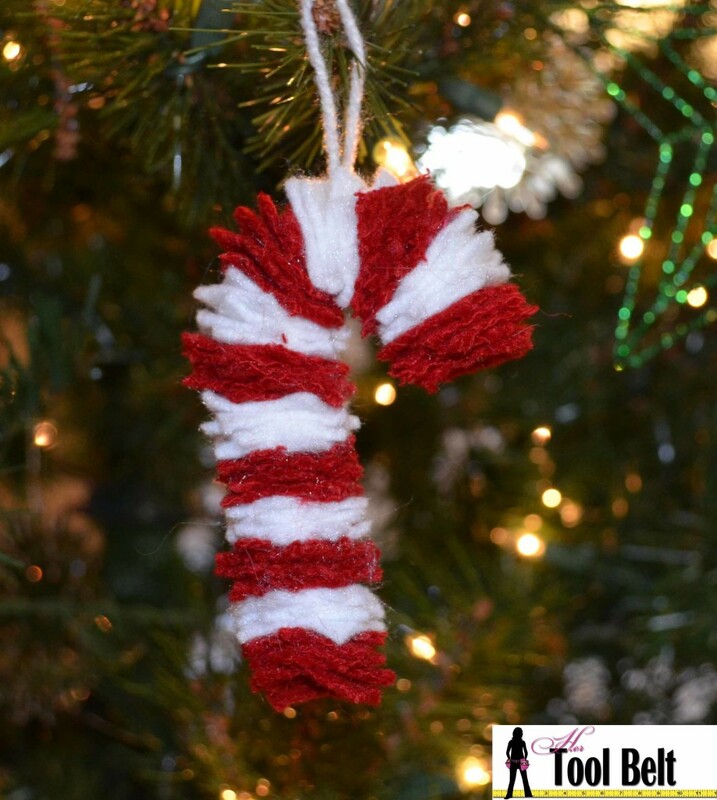 Today’s chunky candy cane ornament is an easy peasy craft. 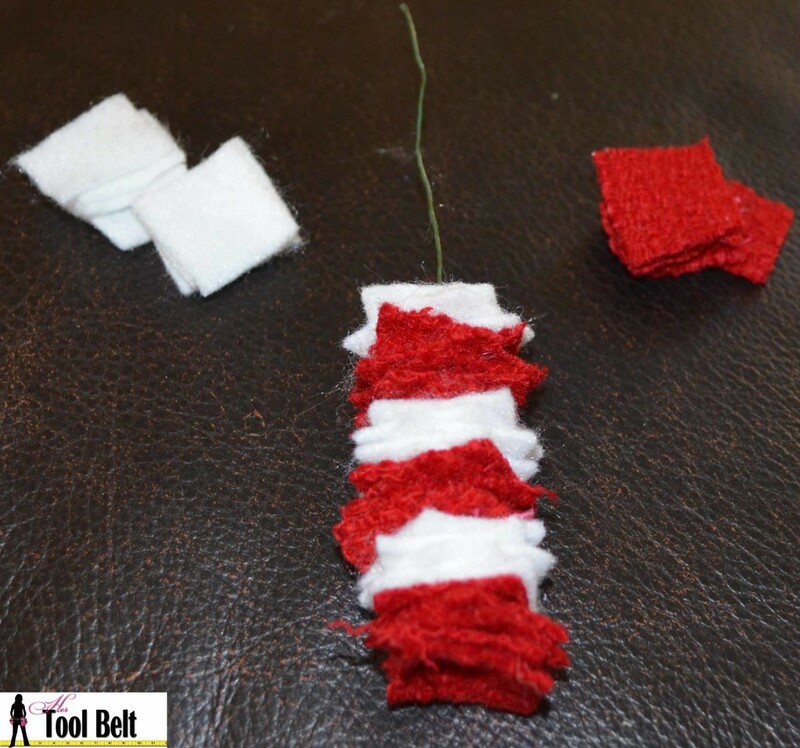 All you need is a little wire and some red and white felt or scrap material. Cut a piece of wire that is about 8″ long. Make a little hook in one end. Cut 1″ squares of red and white felt/material. I used 30 white squares and 35 red squares. My white squares are felt, and the red is scrap tweed like material. Thread the squares onto the wire in groups of 5. When the wire is full, make a little hook in the top end. 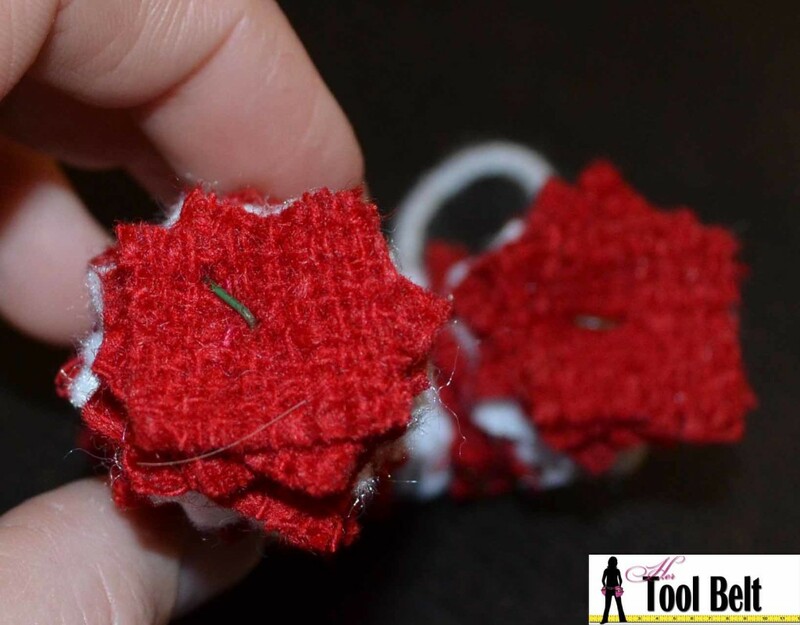 Bend the wire into a candy cane shape, then add a string to hang it. And there you go, doesn’t get much easier than that! 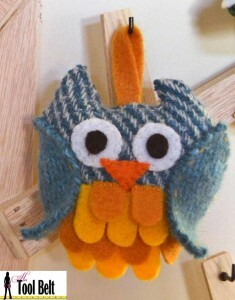 Enjoy your homemade Christmas tree ornament.